Kwikspace supplied the Early Childhood Development Centre as a complete turnkey project, including fabrication of all classrooms, ablutions and a diner, as well as executed all civils and construction work. 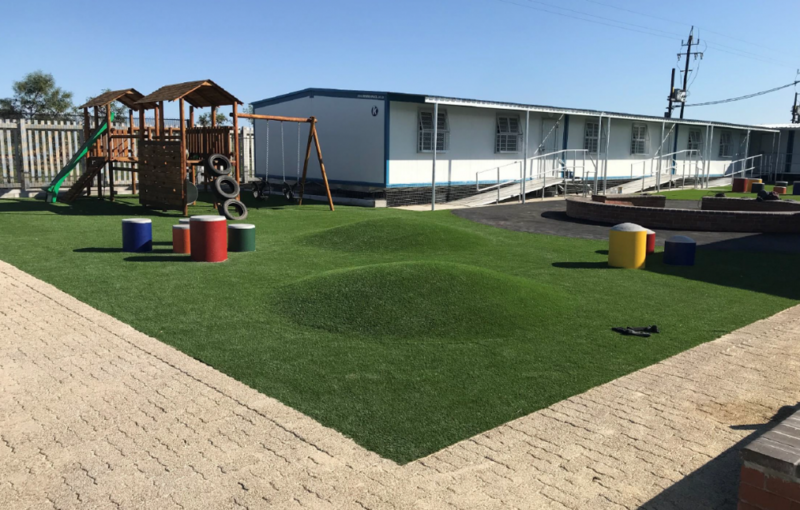 Kwikspace supplied a new, completely prefabricated Early Childhood Development (ECD) Centre to a community in greater Cape Town as part of the city’s integrated plan to uplift the community and improve access to services. The R6.36-million Centre, which, in line with the city’s Social Development and Early Childhood Development Directorate will help formally prepare children for primary schooling, was delivered in two weeks in June 2018 using prefabricated building technologies from Kwikspace. Supplied as a turnkey project covering fabrication, construction, electrical and plumbing works, the new ECD Centre consists of seven classrooms, two ablution units and a kitchen diner – delivered through Kwikspace’s single wide and double wide park homes – together with a play area and AstroTurf soccer field with a Social Hub unit. With high-quality 40-mm steel clad (Aluzinc ZA150) panels filled with polyurethane at approximately 36 kg/m3, Kwikspace’s Agrément-certified park homes provide fast and cost-effective space, with excellent thermal and strength properties ensuring a minimum lifespan of 20 years for these relocatable structures. As part of the tender agreement, Kwikspace employed local community members, which included all technical and safety-related training, to execute the erection of the prefabricated facility. Over 150 000 learners in South Africa are currently accommodated in modular classrooms supplied by Kwikspace. 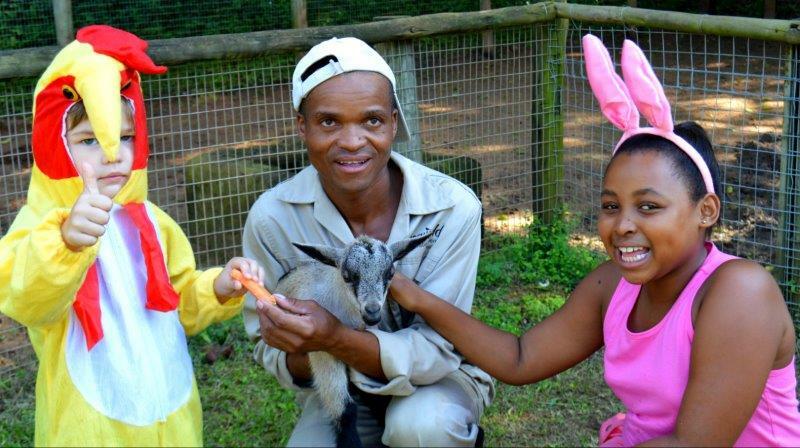 Just over a decade since its inception, the first class of children to have attended the Kungwini Welfare Organisation’s Early Childhood Development Centre in Zwavelpoort, East of Pretoria, are preparing for their final years of high school. Now, after more than a decade of providing a school readiness service to children of the surrounding community, the centre is looking forward to expanding its capacity in 2019 thanks to the corporate social investment received from Medipost and other partners. 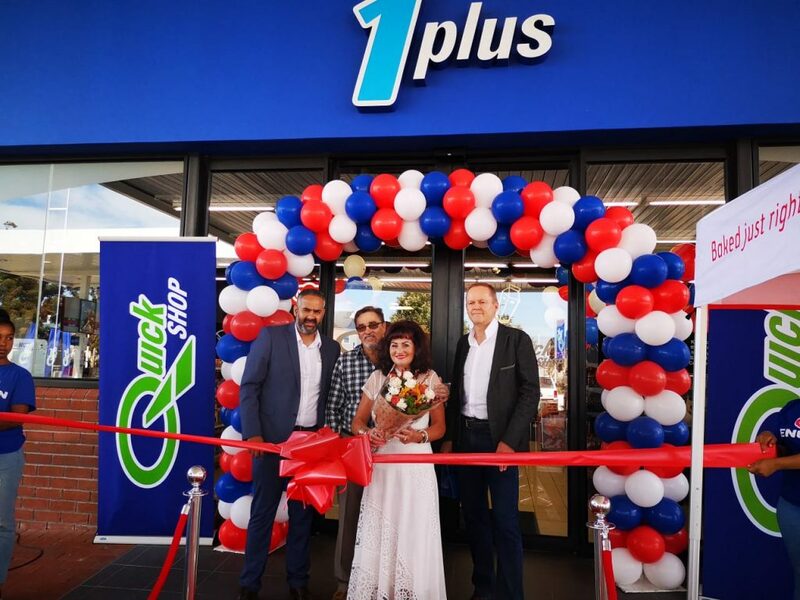 “The benefits of childhood development for improving the socio-economic conditions of individuals in later life and making a positive difference to the community as a whole over the longer term are well established,” says Rentia Myburgh, Medipost’s director for sales and marketing. Early childhood development is recognised by the World Health Organization as a key social determinant of the child’s future health, particularly where learning is supported with good nutrition, as is the case at Kungwini Early Childhood Development Centre, which provides meals and snacks as part of its school readiness programme for children aged between one and six years. “Promotion of education and health has always been important to Medipost, as we believe these are the pillars of a more equal and prosperous society. When we have the opportunity to support non-profit organisations through our corporate social investment initiatives, we therefore prioritise projects that are making a contribution towards the lives of community members through health and education,” Myburgh adds. According to Karin Berriman marketing manager for Kungwini Welfare Organisation, which runs the Early Childhood Development Centre, Medipost’s donation contributed towards the building of two new classrooms, which will meaningfully extend the centre’s capacity. 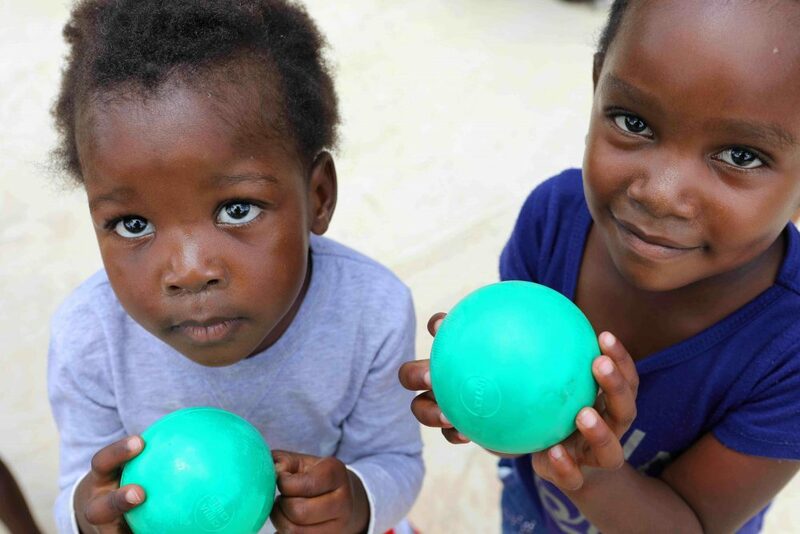 “We are very grateful to all of the organisations, including Medipost, that have donated funds and services towards our early childhood development programme in Zwavelpoort,” Berriman says. “Previously we were able to provide 30 children with access to the school readiness programme, and from this year onwards we will be able to accommodate an additional 20 pupils. The impact of our partners’ corporate social investment in the Early Childhood Development Centre is tremendous and will benefit the community immediately. “The full effect of these donations, however, will only truly be revealed once the children of today are grown up and making their own contributions to society,” she adds. “On behalf of Kungwini Early Childhood Development Centre, and all the children who will benefit from the new classrooms this year and in the future, we are so grateful to Medipost for their contribution. Together, we are helping to lay a solid foundation for the future of the children,” Berriman concludes.